Looking for a personalized gift that is an amazing experience of joy, memories, wonder and happiness! Get yourself a Package From Santa. Disclosure: I am partnering with Package from Santa. All opinions are my own. I was approached earlier this month to try out Package From Santa. 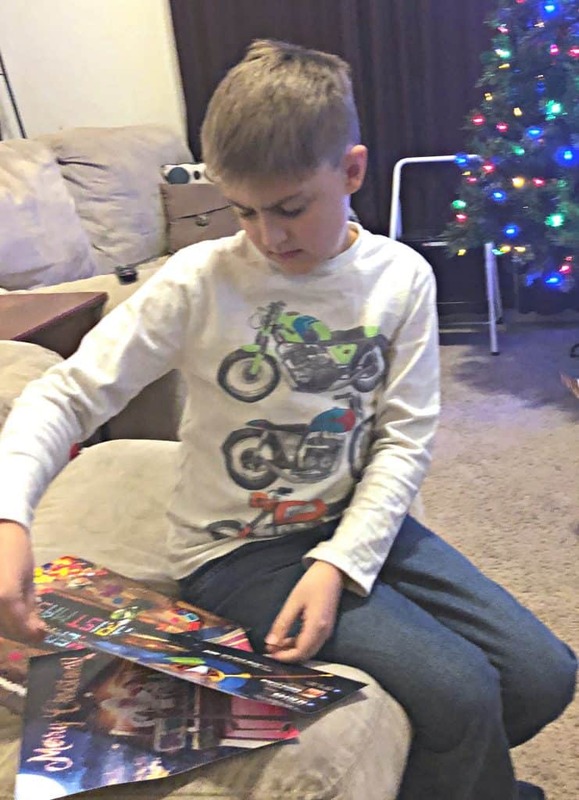 I love to create magic for my kids during the holidays and knew that this would be something they would love. I ordered my packages and waited just a few days for them to arrive. 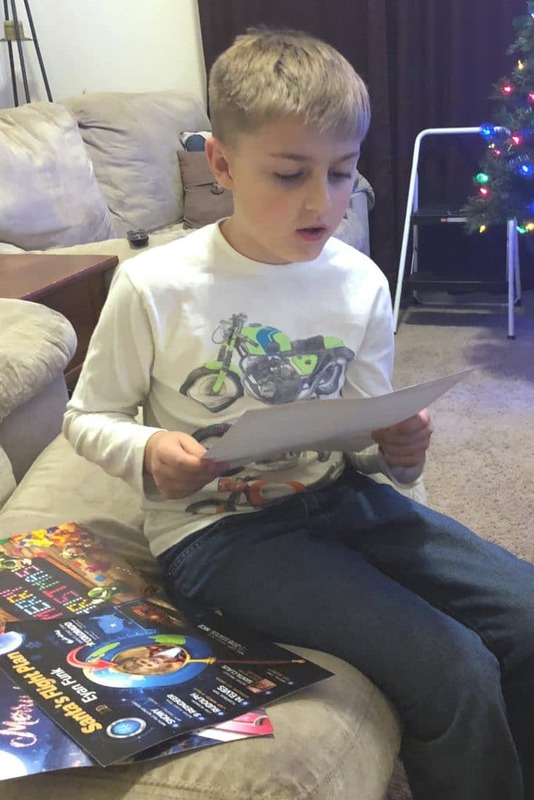 Package from Santa are personalized and shipped to your child from the North Pole! Ours arrived and my kids were dying to open them. They love getting mail and my oldest read the stamp and knew that this was something from the big guy up north. The packages were put together nicely and were easy to open. A simple pull tab and viola, the kids were able to reach in and look at all the wonderment inside. The package itself contained 4 paper items. A picture of Santa in his sleigh with a Christmas greeting. 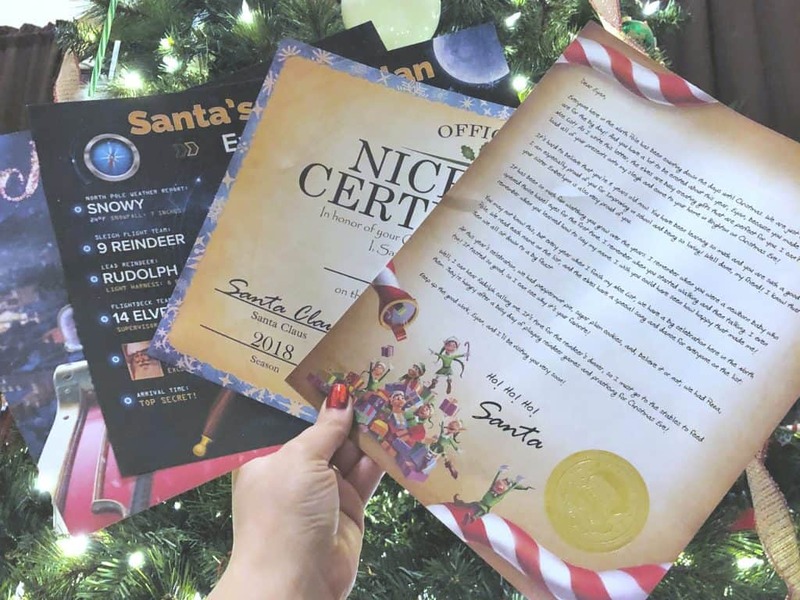 A personalized flight plan, nice list certificate and a letter. Each item was personalized and different. Parents are able to select options that best fit their kids and then Santa puts it together and ships it out! There were two items in the Package from Santa that my kids absolutely lost their minds over. The first was the personalized letter. Each kid read their letter, and loved that Santa mentioned the good things they were doing, their favorite food and yes, even their sibling! It was really awesome to watch their eyes light up. 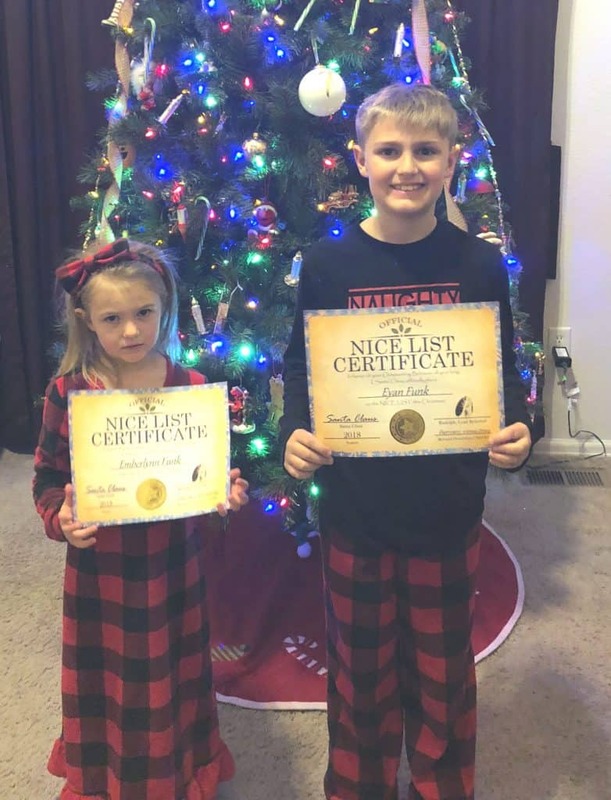 Although the picture above doesn’t look like it, my kids also were excited to find out that they are currently on the “Nice List”. The face my daughter is making is because she didn’t want to take a photo, she wanted to put the certificate on the fridge. Which she did and which she reminds me daily that she is being a good girl because Santa said so! PackageFromSanta.com has options for EVERY BUDGET starting at $14.95 with an array of add-on goodies to choose from. Create a custom package for each child! The packages were super easy to personalize and honestly my kids are just cherishing those items. Want a Package From Santa for your child? Well I have an awesome offer for my readers. 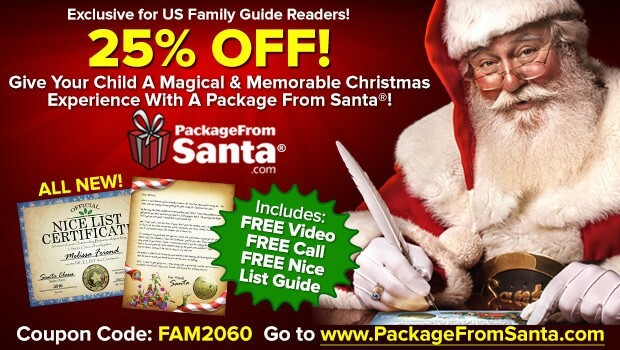 SAVE 25% Off Any PackageFromSanta.com with Promo Code: FAM2060. Order that unique and magical mail for your child now. They will really enjoy it and the digital items are awesome too! 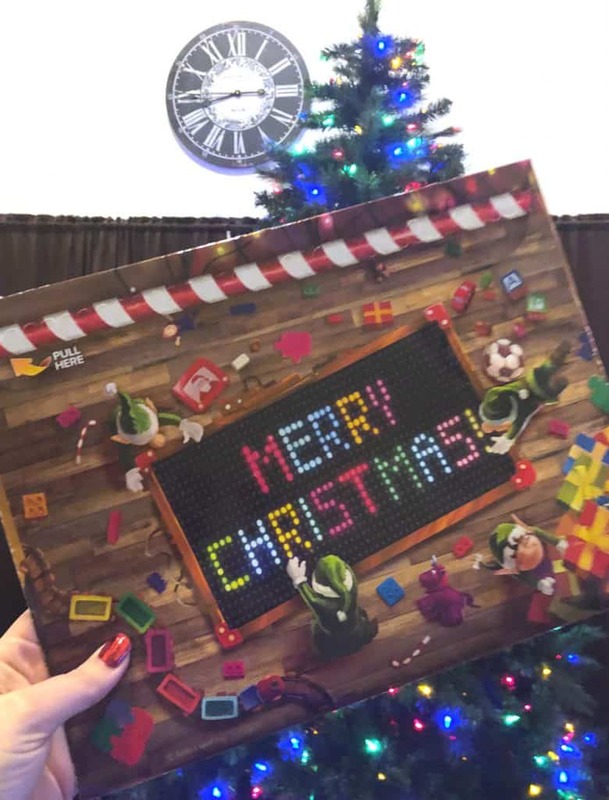 Would your child enjoy a Package from Santa?